We have just successfully completed the sale of our beach home in Solimar Beach Colony in Ventura, CA and the entire (very complicated) process under your efficient direction was handled in as professional a manner as possible. You never lost sight of our needs and you put together an incredible package. The portfolio you made told the whole story in pictures and words and along with your time and effort, you brought in a qualified buyer and we were able to meet our $3,900,000 price and walk away very happy. We were on the ice in the Arctic when the final offer came in and the escrow opened and you took care of everything. With only one email to us - you orchestrated the entire process while we sipped wine on the ship. Both our business manager and our attorney were very impressed with your diligence and tenacity. Just a note to say thank you for a job well done. I selected you because I felt that you really knew the business, appeared to be trust worthy, and would represent me in a professional manner. You acted in my interests at all times, advised me on many things, and I always knew you were on my side. If I could summarize it in one word it would be TRUST. 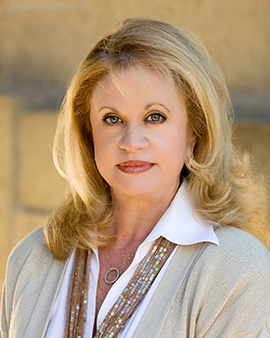 We chose to have Janet Caminite represent us in our most recent real estate transaction. This was a challenging sale of a property which was valued, for a number of legitimate reasons, much higher than comparable sales in our area. Janet gave excellent advice and direction and was most sensitive in the estate sale of my mother’s home [Solimar Beach]. She was there for me 100% of the time … she didn’t even take a break at Christmas time … thank goodness … as we received the offer on Christmas Eve Day. She followed through on every single aspect of the sale. I would totally recommend her. Over the course of the listing period [18 months] we were very impressed with Janet’s professionalism, attention to detail, and concern for our privacy. She was easy to work with, and always valued our opinion and listened to our concerns. The full resources of Sotheby’s International Realty were utilized to give our property the most extensive exposure possible. This ultimately resulted in a successful sale, for a price which was unprecedented in our area [Solimar Beach]. We are able to recommend her without hesitation for representing a high standard of professionalism in her industry, as well as providing highly personal and caring service. From the beginning, Janet saw the value of our property and set out to achieve it, which she did. Along the way she was proactive and helpful, assisting us in presenting our property and negotiating through the deal. It was a success all around. We have worked with Janet Caminite for 5 years and she has assisted us in all aspects of selling and purchasing three properties. Working with her made all of those transactions a smooth process where every complicated step became simple due to her attitude and responsive action. She has a talent to make a group of people perform as an effective team. She is readily available and goes out of her way to understand our needs, constraints and goes the extra mile to create satisfaction. She is both realistic and creative in finding ways to meet our goals and to present our properties to others. She has a high level of integrity and works for win-win solutions for all involved. I want to thank Janet Caminite from Sotheby’s International Realty. We just had her sell our ranch, which we have had and lived on for 38 years. It was a very emotional time and she helped my family and I get through the process with the most support and professionalism. I was truly thankful for all her help. We will always have a special place in our hearts for our friends and the Hollister Ranch. Your assistance in selling my home was a blessing. When the first escrow became challenging due to the inexperience of the other agent, your patience and knowledge was invaluable. Your generosity of heart and clarity of knowing what to do cleared the way for a second escrow and a thoroughly positive and rewarding culmination. I am continually impressed with the width and breadth of your abilities. Anyone who chooses to work with you has chosen a gem....be they agent or client. Thank you for being who you are. As first time sellers, we didn’t know what to expect from the process of selling our home. Now that we’re about to successfully close escrow, after just a short time on the market, we can’t imagine doing it with any agent but Janet Caminite. She was so knowledgeable, reassuring, patient, and masterful at navigating the selling process. She not only negotiated a great deal for us with the buyers, I knew that everything was handled with joy and excellence at every step along the way. I would recommend her without hesitation and would absolutely use her again to buy or sell a home.